As you may have heard, the Copenhagen talks kicked off yesterday with an invigorating speech from Danish Prime Minister Lars Løkke Rasmussen, rumors that the EU might announce a stronger carbon reduction target, and of course, the first round of Fossil of the Day Awards for the greatest obstructionists. First place went to all the Annex I countries for generally trying to weaken a deal. Annex I countries are developed countries that are most responsible for climate change. They are the countries that were supposed to make emissions cuts under the Kyoto Protocol (only some did). No surprise here – the FOTDA judges simply decided to kick off Copenhagen Fossil of the Day but calling out wealthier countries that are perpetually dragging their feet when it comes to getting a Real Deal. The second place award, however, was a bit more of a shock. Austria, and its Nordic neighbors Finland and Sweden were awarded second place for an outrageous attempt to hijack the REDD mechanism for their own benefit. REDD (which stands for Reducing Emissions from Deforestation and Degradation) is an already precarious offset scheme that gives developing countries carbon credits to keep their forests standing. It is meant to give poorer countries an incentive to reduce their emissions. It is certainly NOT for fully developed wealthy nations like Austria who need to make REAL cuts in their emissions rather than get paid to protect forests they were going to protect anyway. Even though we’re busy building an Ark and planning other big actions, a few of us made a quick trip to the Embassy of Austria today and attempted to deliver the prize. Much to our dismay, the embassy was closed (closed? in the middle of the day on a Tuesday?) But we got some great photos, which we think are enough to say: SHAME ON YOU AUSTRIA. SHAME, SHAME, SHAME. AND SHAME ON YOUR NORDIC NEIGHBORS TOO! Stay tuned for additional fossil awards presentations over the next few weeks. While we don’t have time to delivery fossil awards every day, you can check out all daily winners on the official Fossil of the Day Award website, which even includes a live video stream of the award ceremony in Copenhagen. 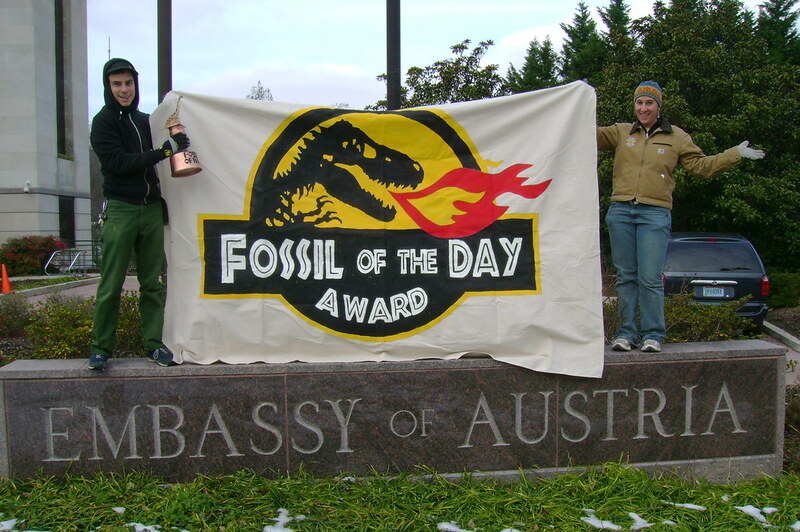 We also encourage you to deliver a fossil award yourself if you’re so inspired. Shoot us an email at info -at- actionfactories.org and we can give you some tips, and maybe even a pre-made trophy! Believe it or not, the Copenhagen summit begins in just 3 days. As far as we can tell, activists, organizers, government officials and, unfortunately, business lobbyists, are beginning to pour into the city. Everyone is bracing themselves for what is sure to be a busy, unpredictable, and historic two weeks. So are we. While many of our friends are on the ground in Europe, those of us here at the DC Action Factory are preparing for an action-packed 2 weeks right here in Washington. After all, most of the people and corporations we’ll want to blame and shame for the shortcomings and failures coming out of Copenhagen have their headquarters right in our backyard. 1. 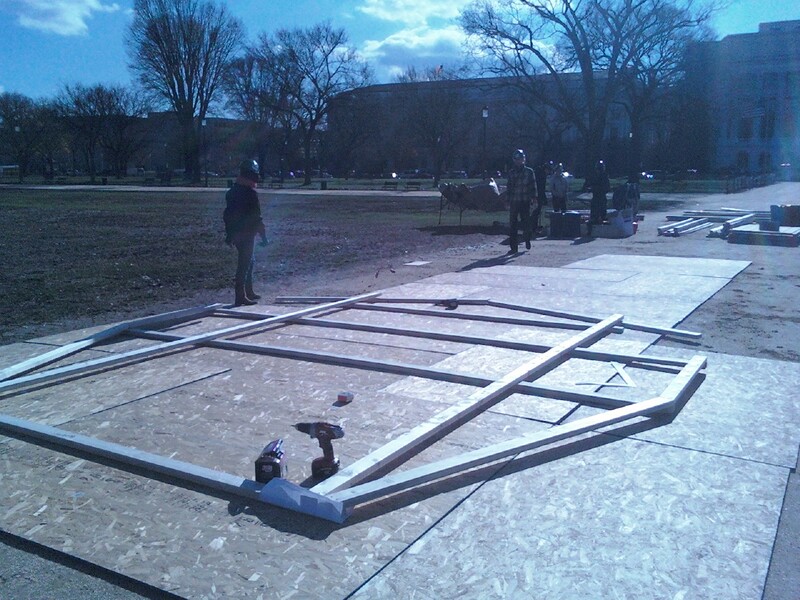 We are building a Giant Ark on the National Mall! In a matter of days we will begin constructing a giant boat designed to represent ‘Climate Plan B‘, the alternative to a fair, ambitious, and binding global treaty in Copenhagen. The Ark evokes the great flood, a realistic portrayal of the climate destruction already underway and the waves of destruction yet to come, especially if the world fails to reach a binding agreement. 2. 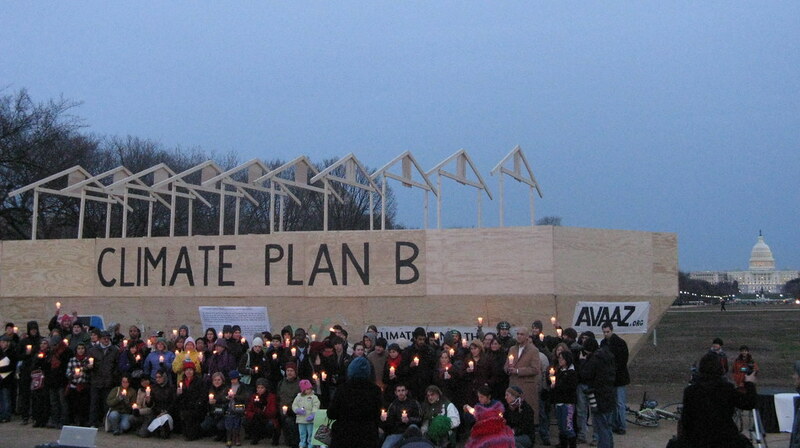 We are holding a rally and candlelight vigil at the Ark on December 12 at 4pm, right at the half-way point of the Copenhagen talks. 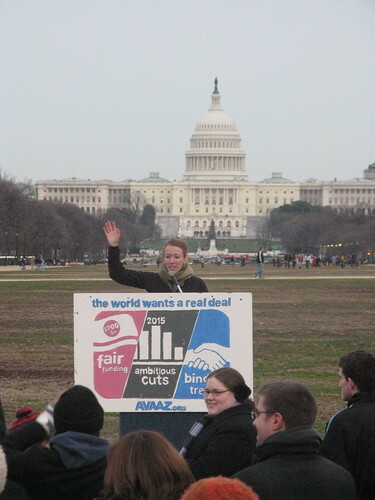 The event is part of “The World Wants a Real Deal” a global day of action, being organized by the TckTckTck campaign. 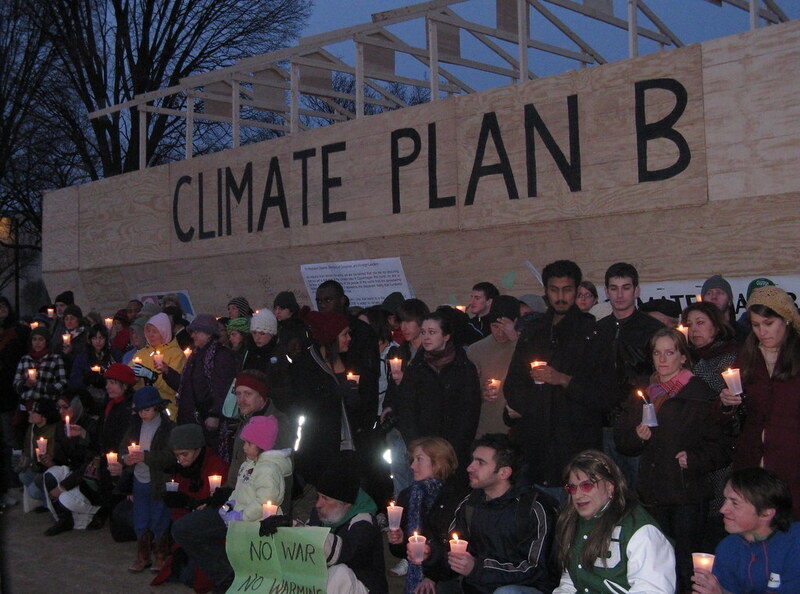 Before the vigil, the event will feature a diversity of prominent climate activists and leaders. 3. 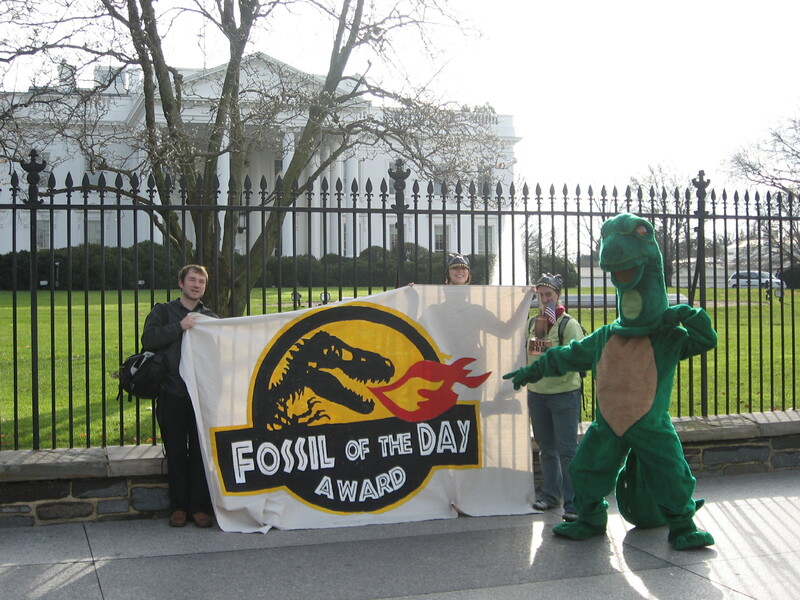 We will present Fossil of the Day Awards to the countries who perform the worst during the climate talks. This will include high-profile deliveries to embassies throughout the city, as well as to the state department and selected members of the Senate. Who will you blame? 4. Surprises! You’ll just have to wait and see what else we have in store. Make sure to join our Friends of Avaaz Action Factory email list if you want to get rapid response action alerts. Stay tuned and please join us for some fun action during these crucial two weeks! VOLUNTEERS NEEDED! 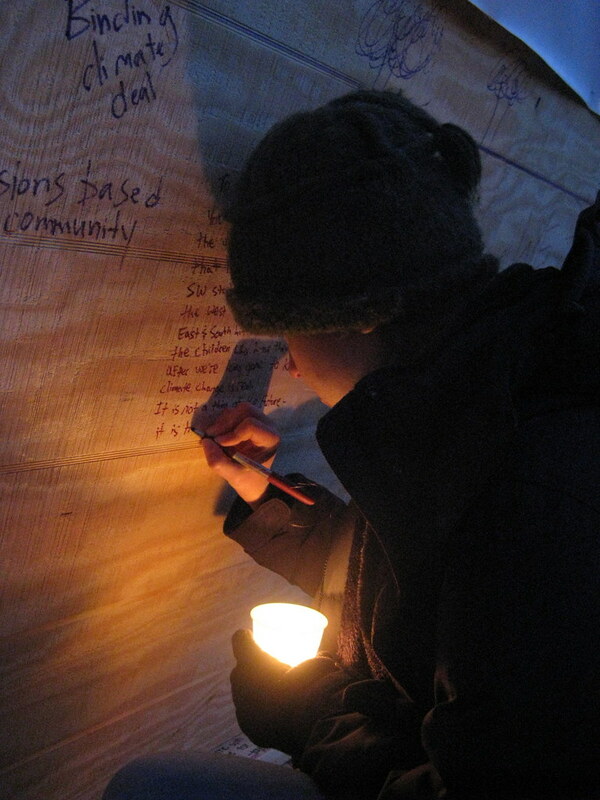 Meet us at the corner of 15th and Constitution at 5:45 tonight and look for people holding candles. It will be beautiful, safe, and fun. Washington, DC — Tuesday evening, as President Obama continues his visit with Chinese President Hu Jintao in Beijing, youth climate activists will light and release hundreds of Chinese flying lanterns into the air around the White House. The activists are making an urgent call for Obama to stop delaying a global climate treaty and for the US to stop lagging behind while other countries—including China—take action on climate change. PHOTO OP: Hundreds of lanterns flying into the night sky with the White House and Washington Monument as a backdrop; glow-in-the-dark banner held up by helium balloons. 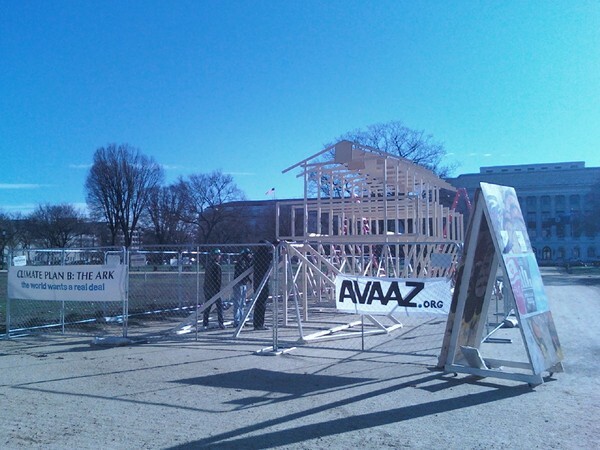 Avaaz is a global campaign network with 3.6 million members worldwide.